School might seem like a scary place to a child who has recently dealt with the divorce of his or her parents. However, you should understand that many schools are well equipped to deal with children of divorce and help them succeed in school and life even after such a big transition and difficult time. 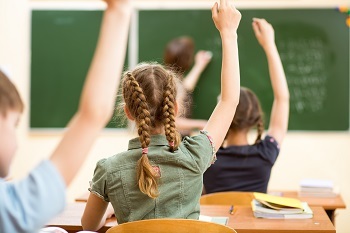 What should you do to ensure that your child gets help at school in the wake of your divorce? Talk with your child’s teacher. If you are the parent of a child in grade school, make sure that the teacher knows that the divorce took place as well as the logistics of the divorce (where the child will be living, whether both parents have custody, visitation schedules, etc.). Letting a teacher know about the divorce may also mean that your child will have the attention and understanding of the teacher if your child struggles with schoolwork or behavior in the coming year. Find other kids that have been through divorce. Your child’s teacher may also be able to connect you or your child to other families that have dealt with divorce. It can be priceless for your child to have a friend and ally to talk to who has been through the same experience. Talk with the school counselor. Many schools have special programs, groups, and activities for children who have experienced the recent divorce of their parents. Talking to a school counselor can help you understand the resources available to your child. In addition, beginning a relationship with the school counselor can ensure that you know of any surfacing issues or concerns. Do you need legal help from a Seattle child custody attorney? Call the Law Offices of Molly B. Kenny today to schedule an appointment with a knowledgeable and experienced lawyer at 425-460-0550.